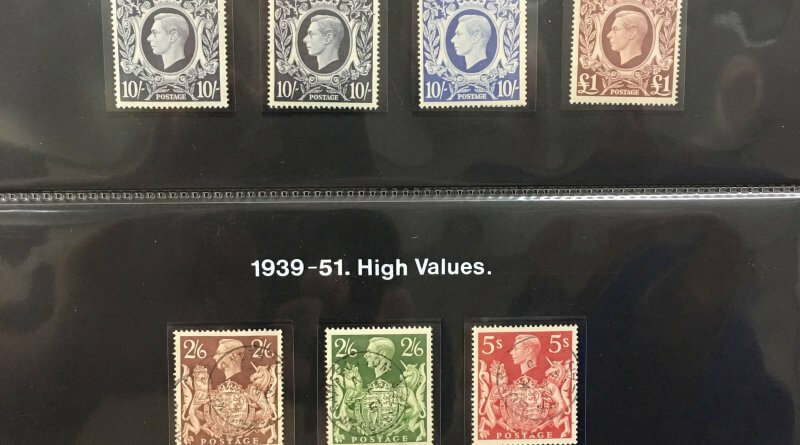 Members were treated to a fabulous presentation by Graham Macpherson on the GB King George VI High Values Arms Issue 1939-1951. 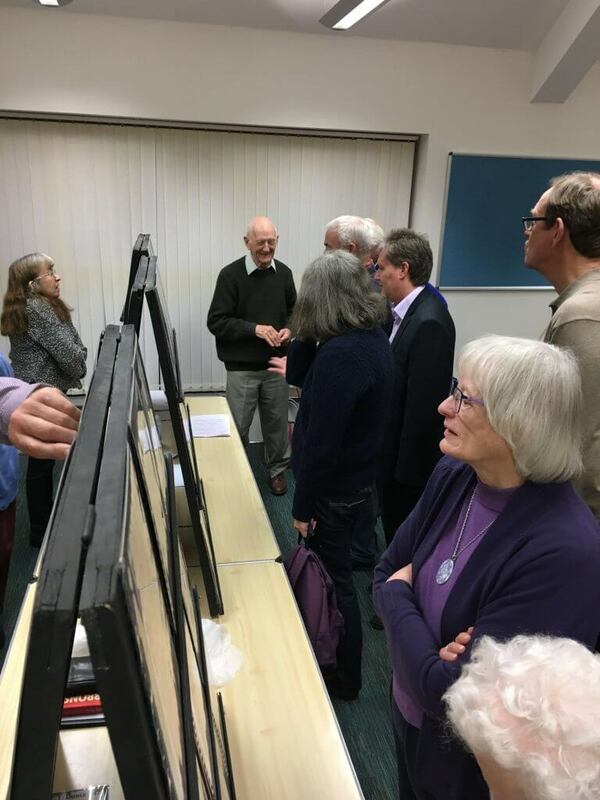 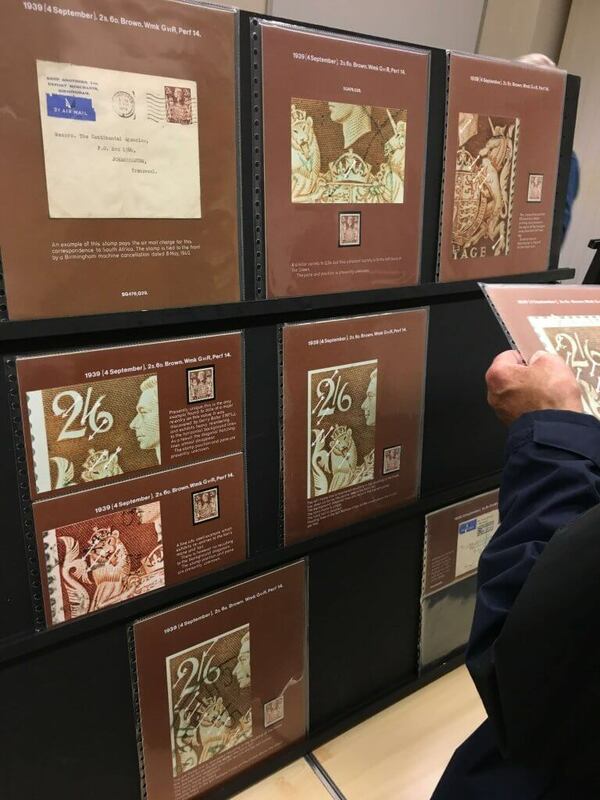 He showed parts of his collection to the assembled crowd and shared his latest research findings into this fascinating issue. 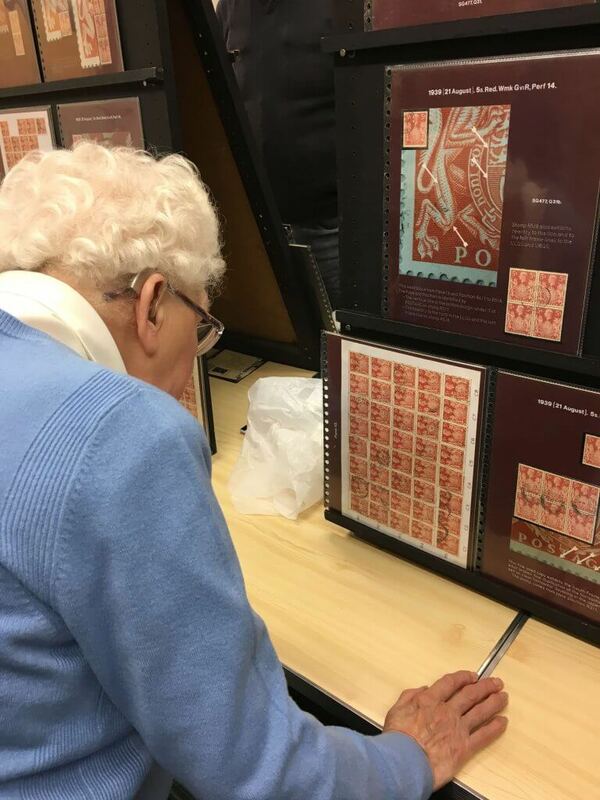 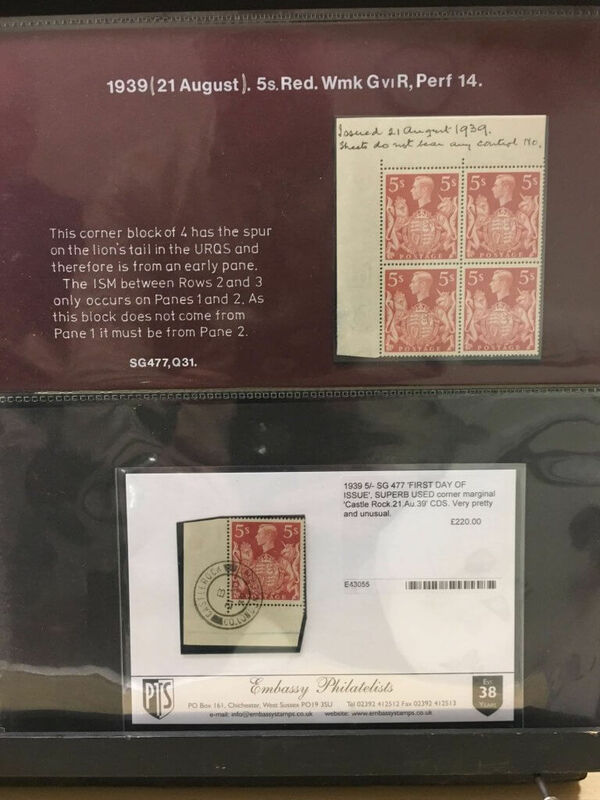 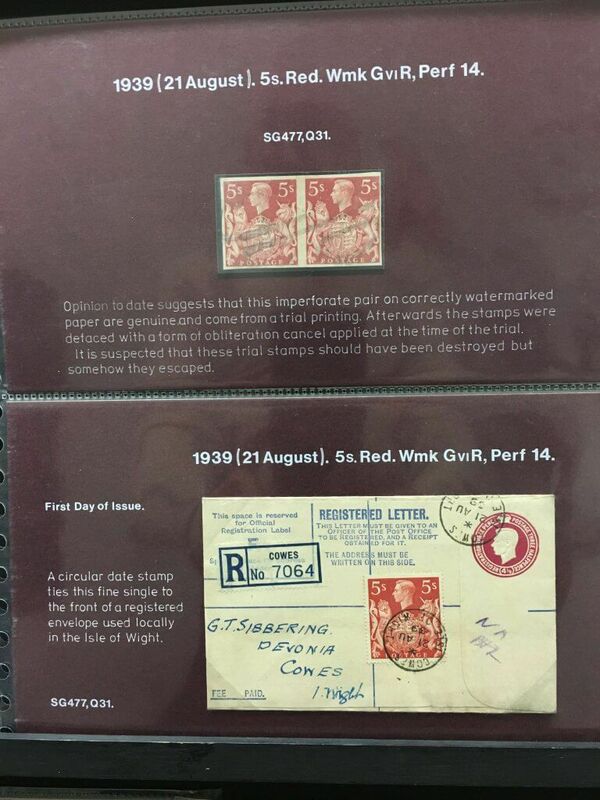 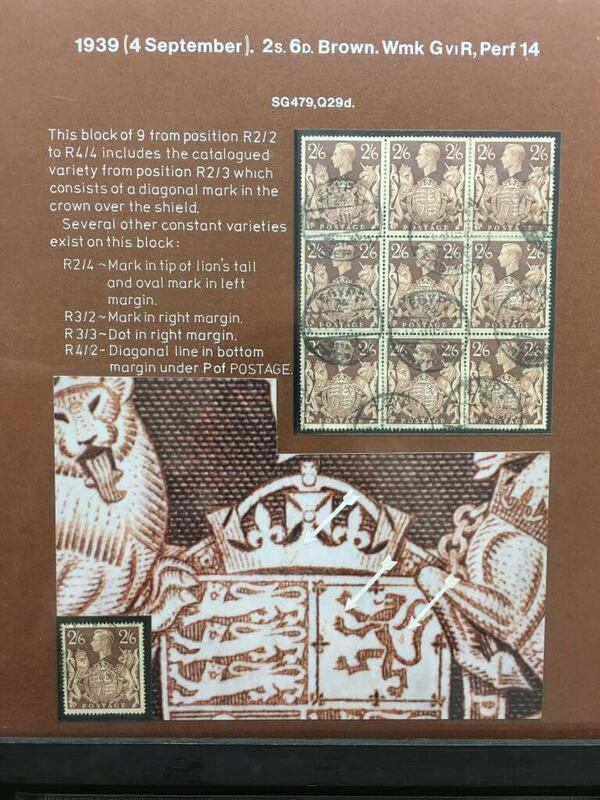 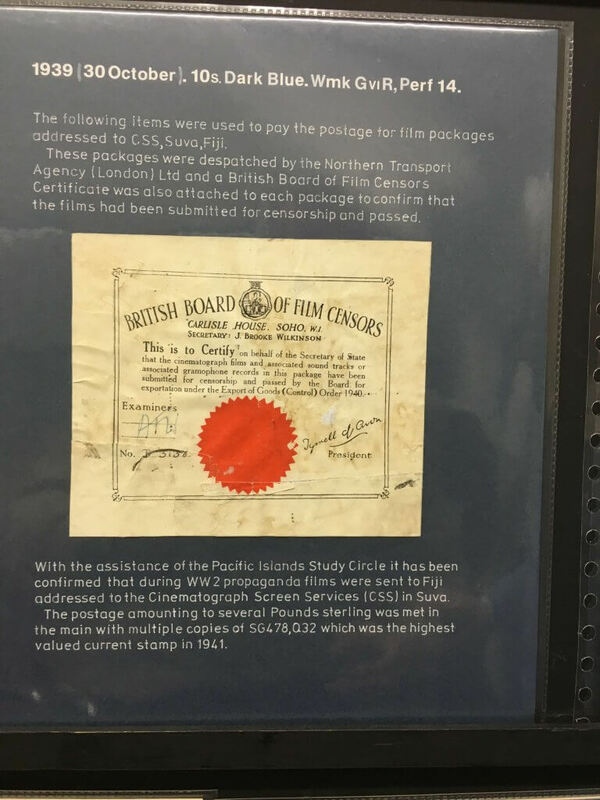 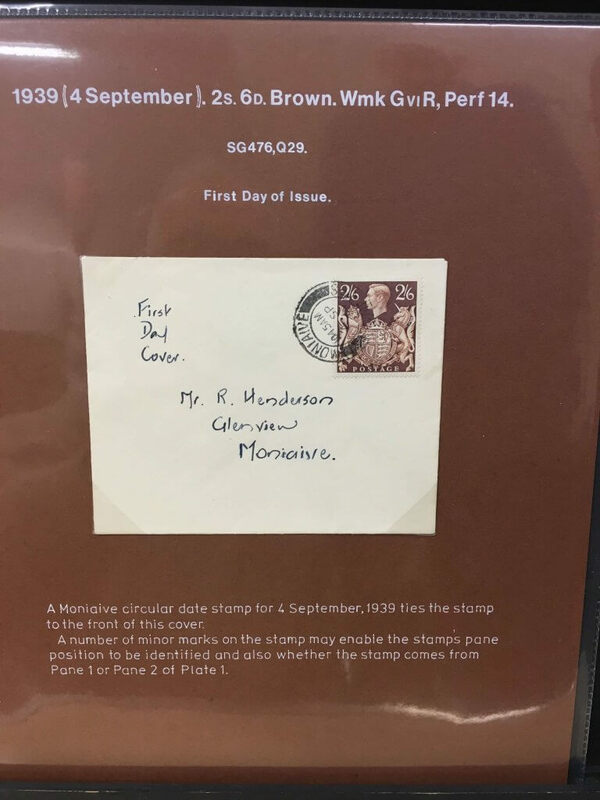 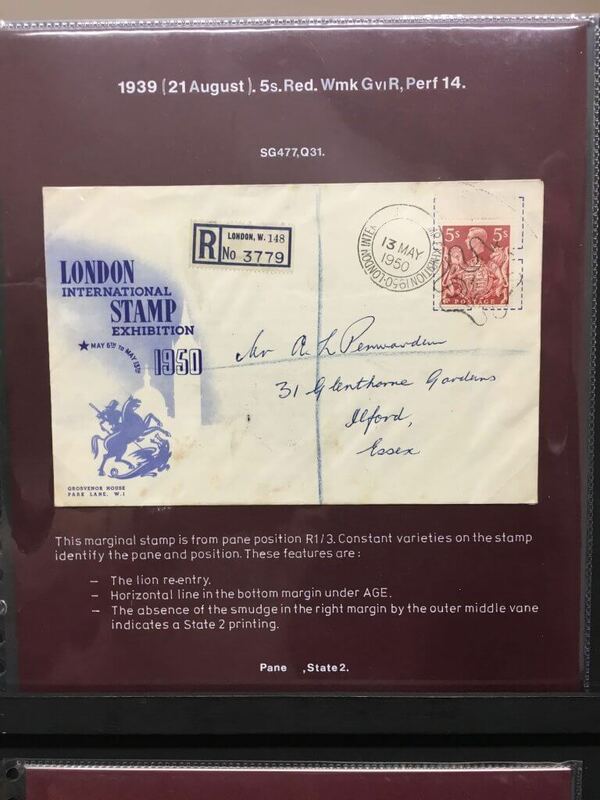 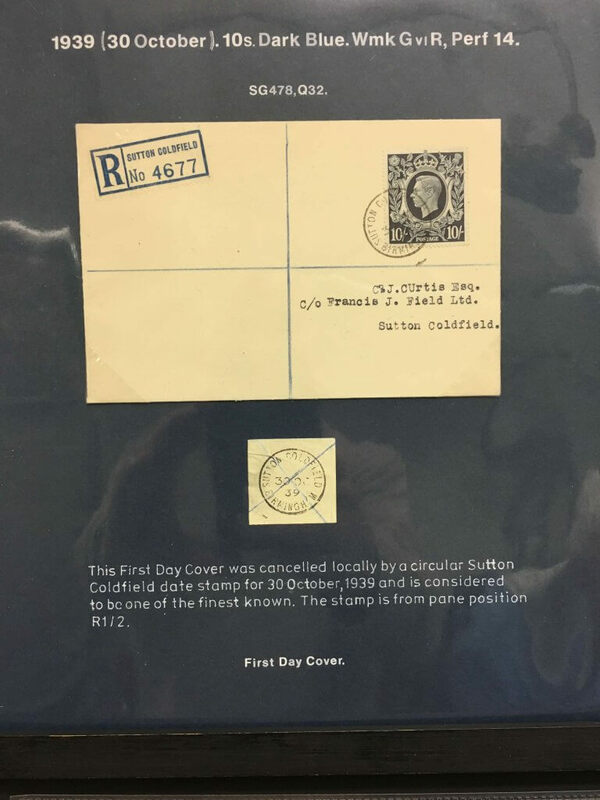 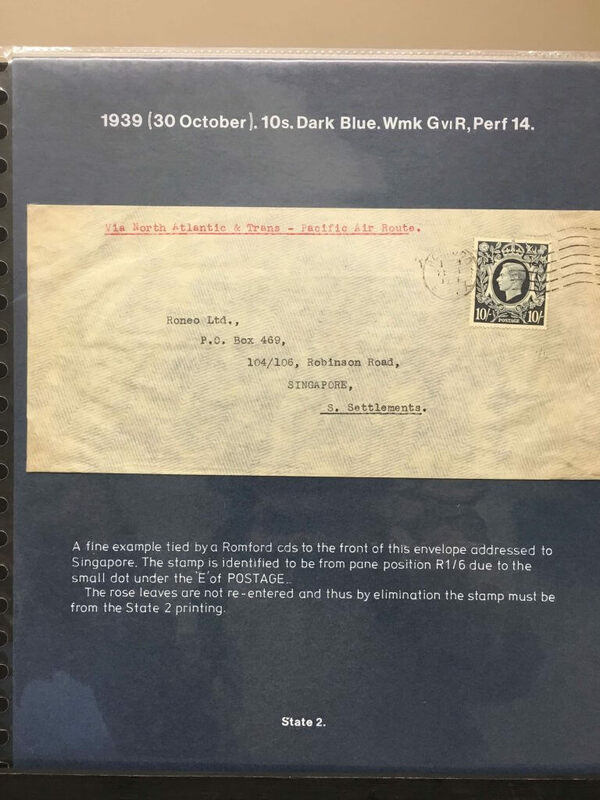 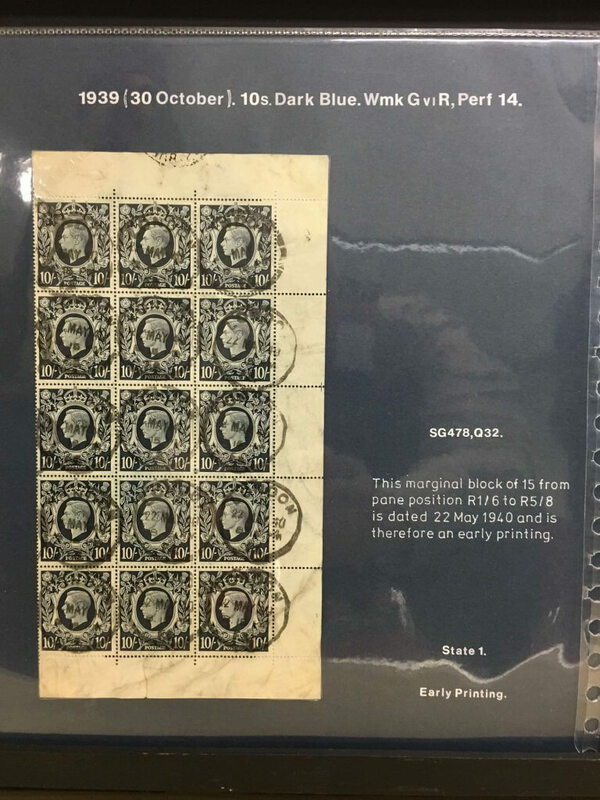 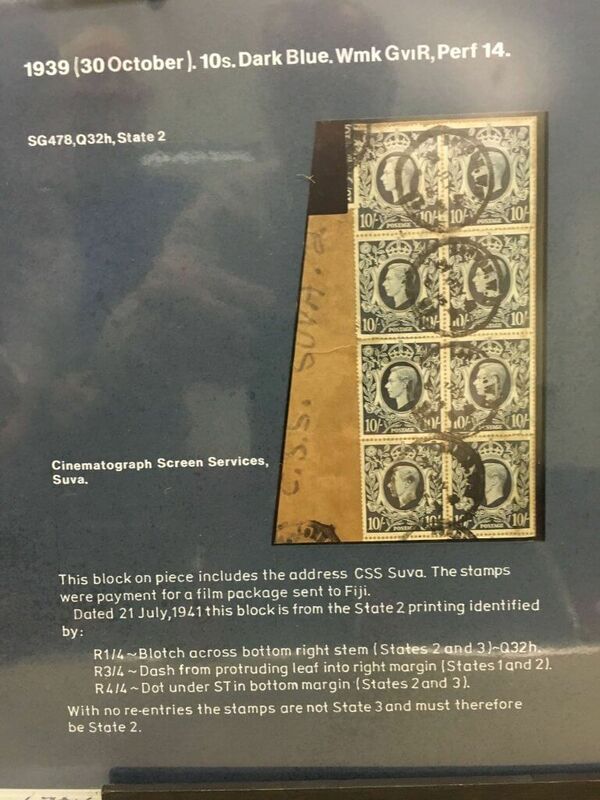 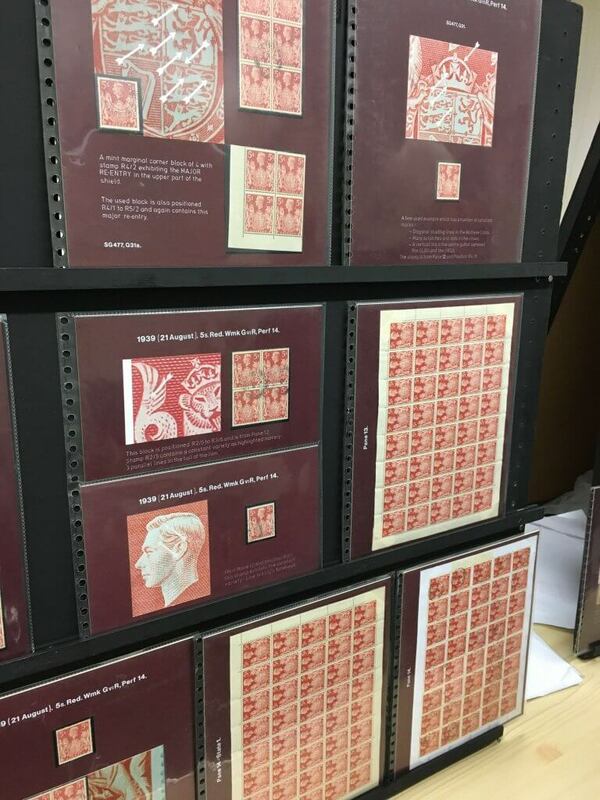 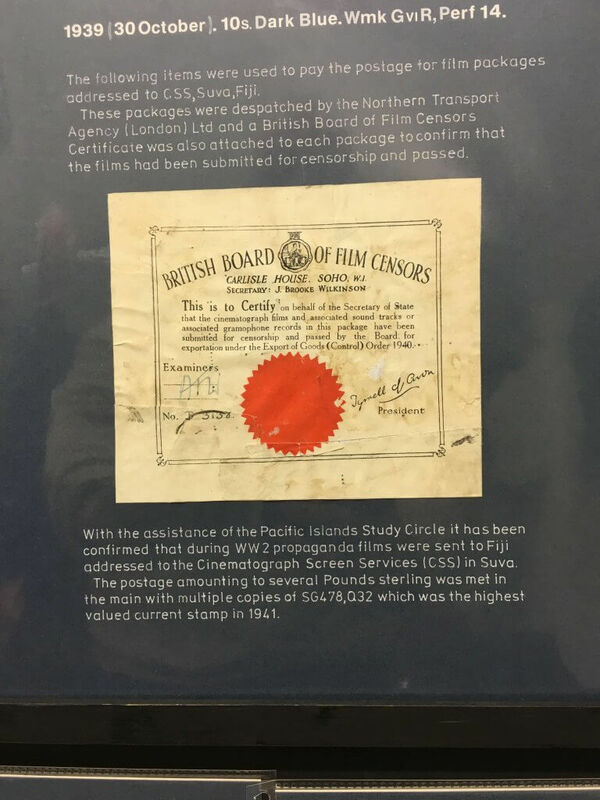 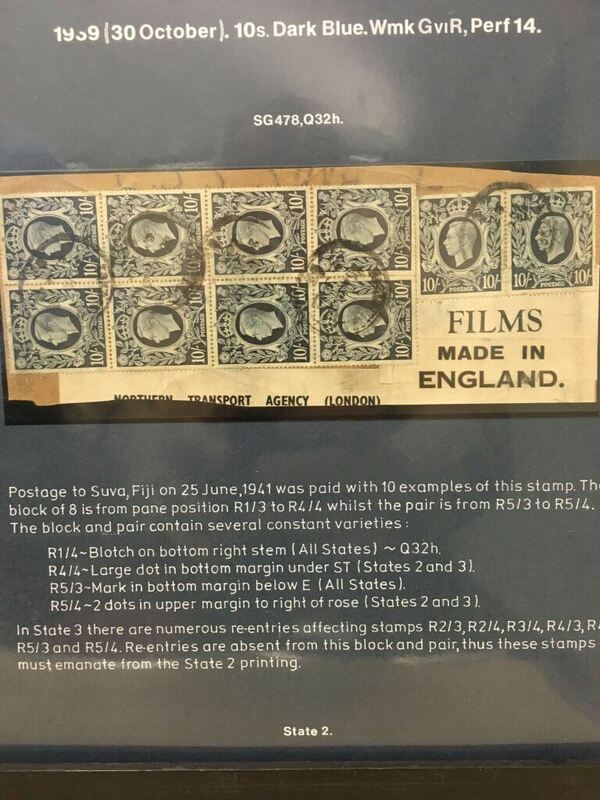 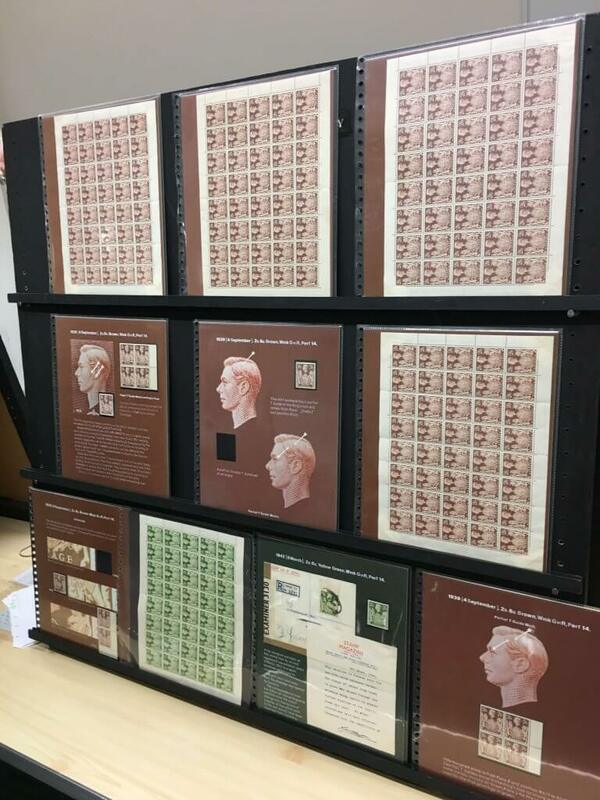 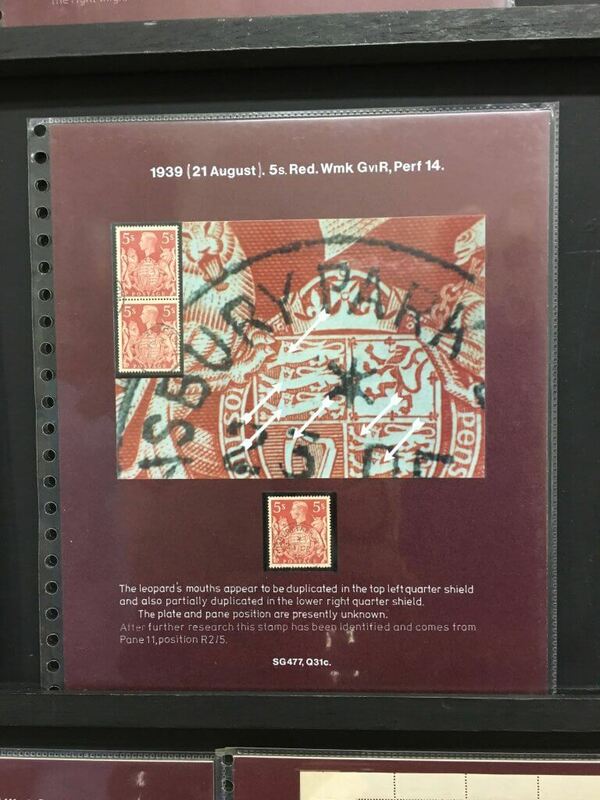 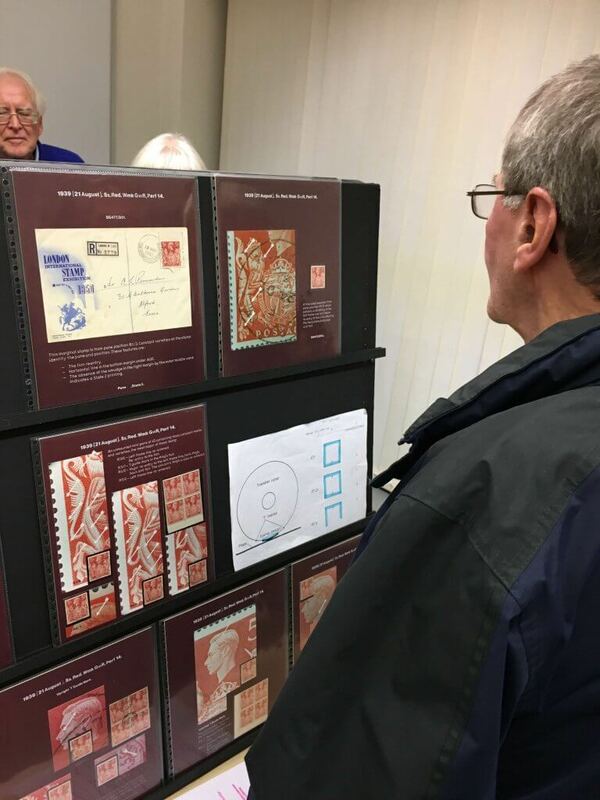 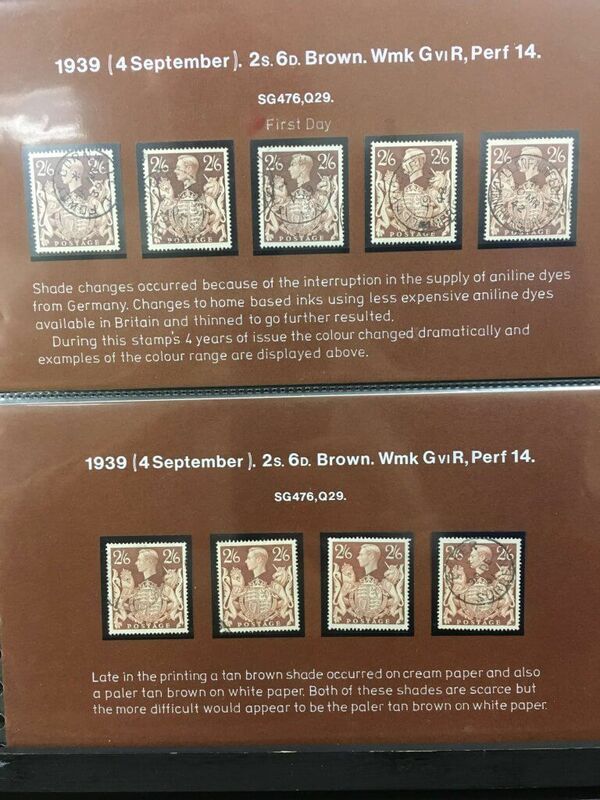 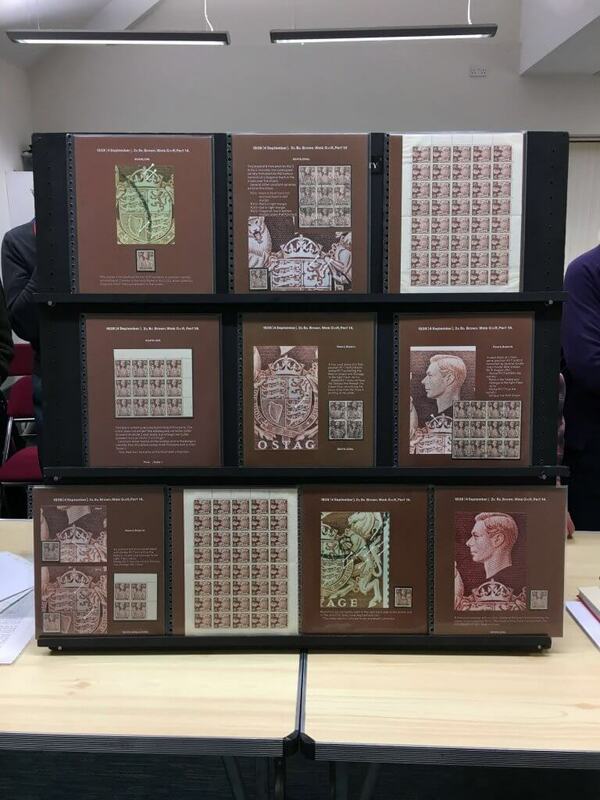 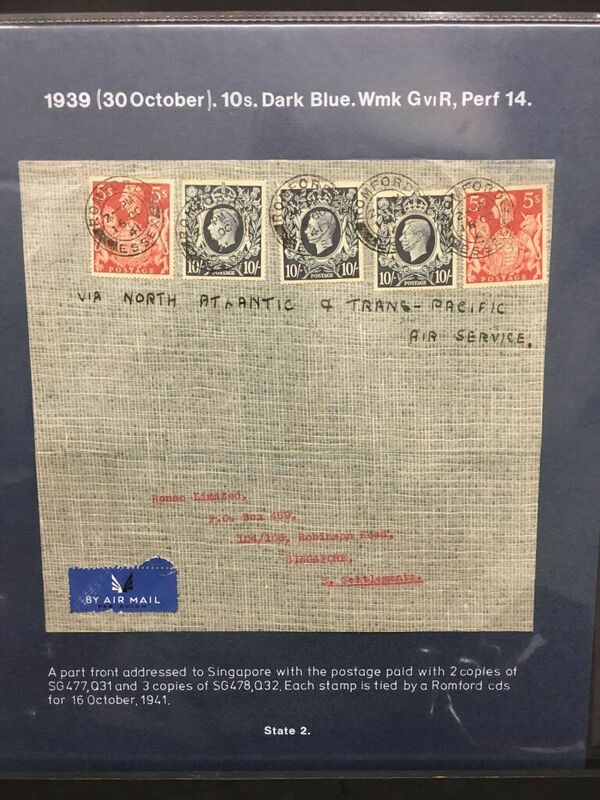 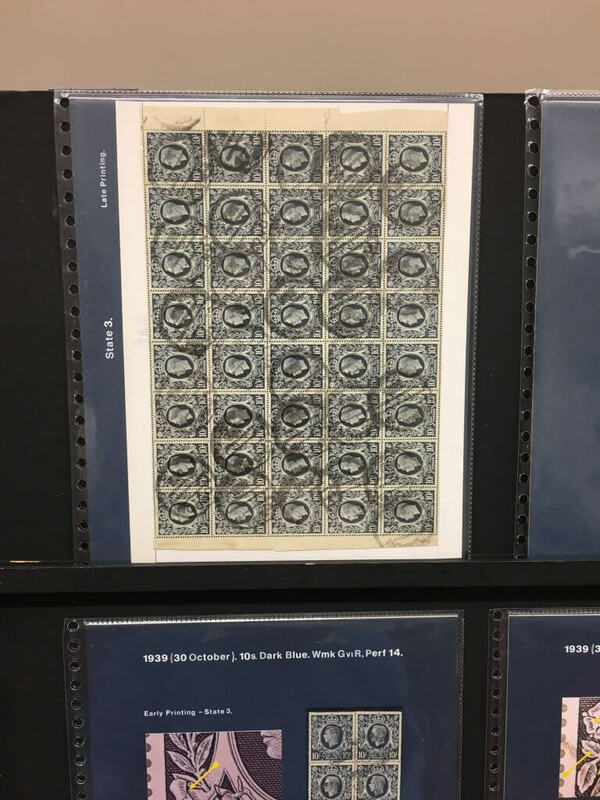 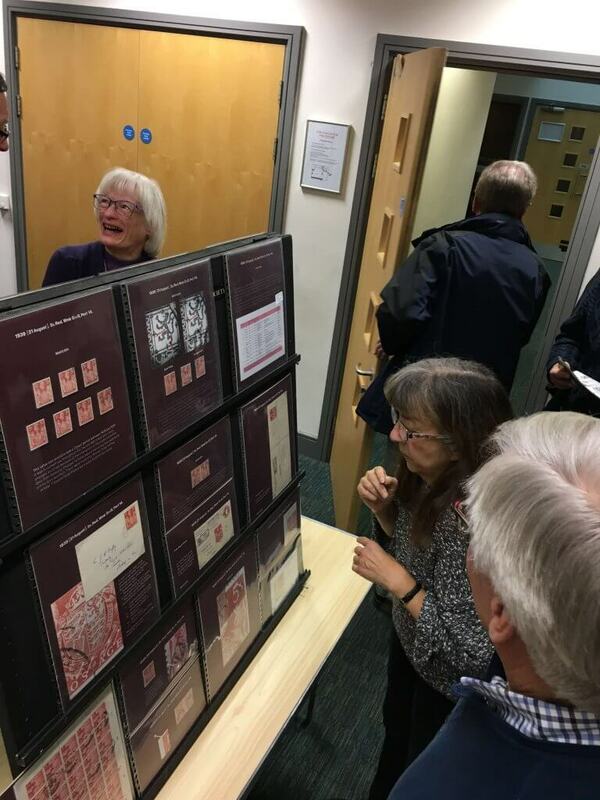 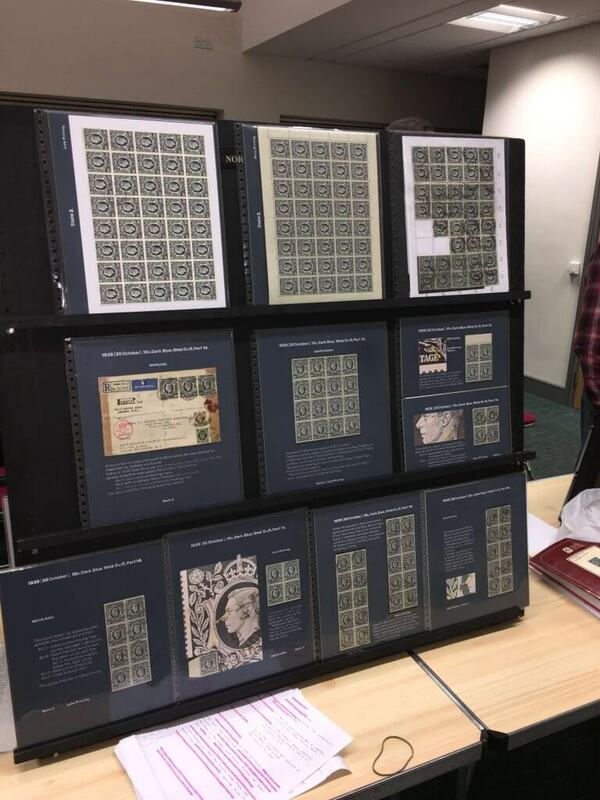 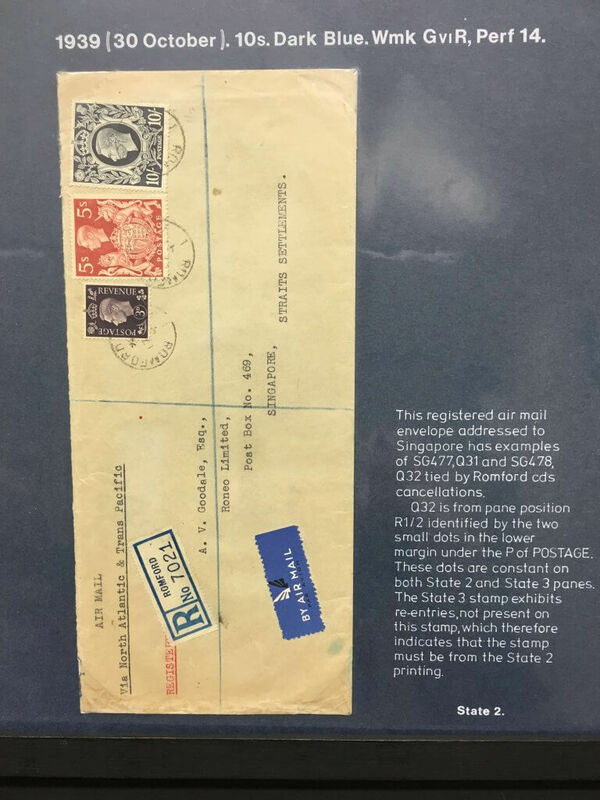 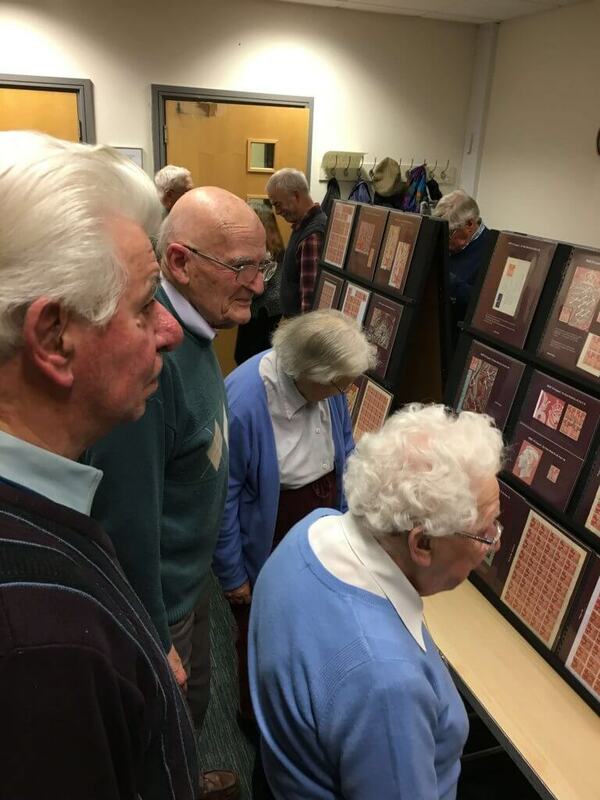 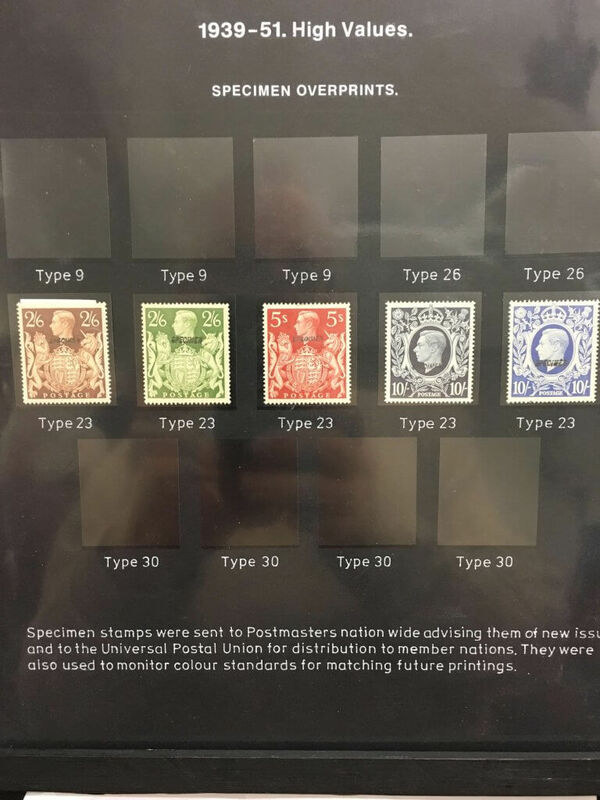 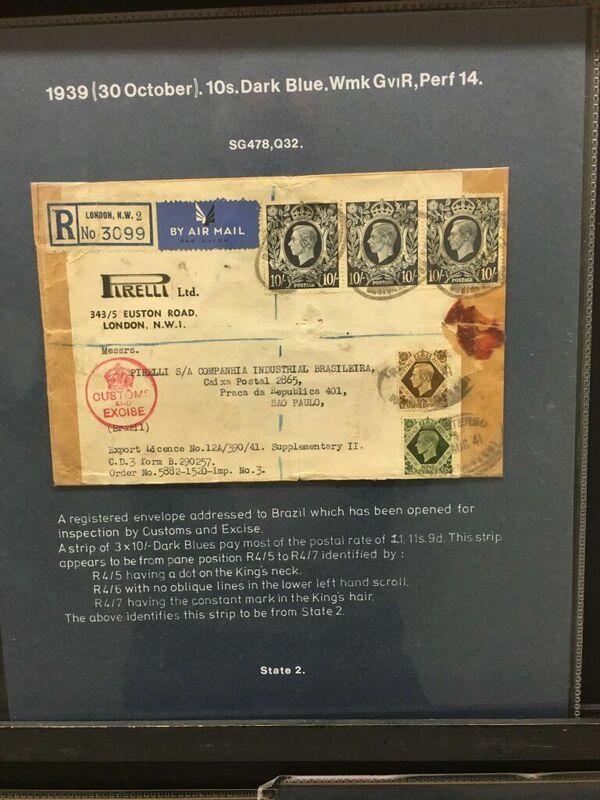 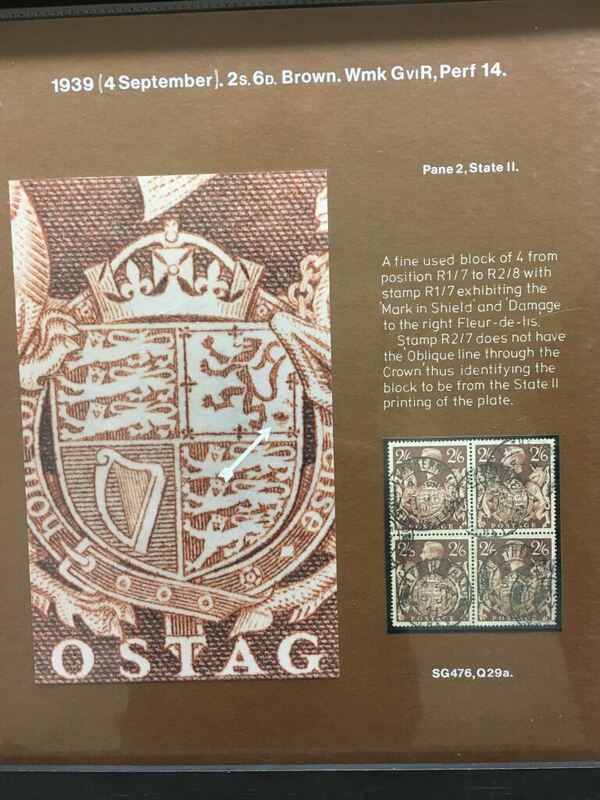 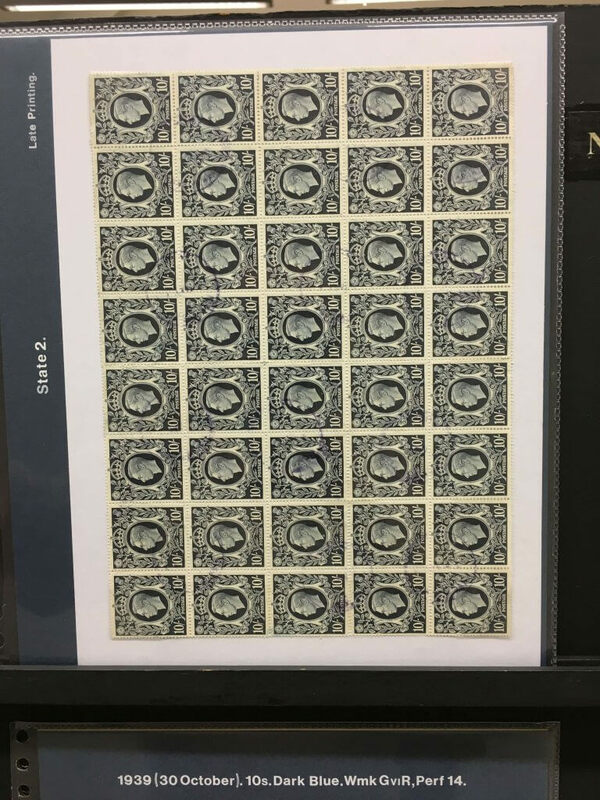 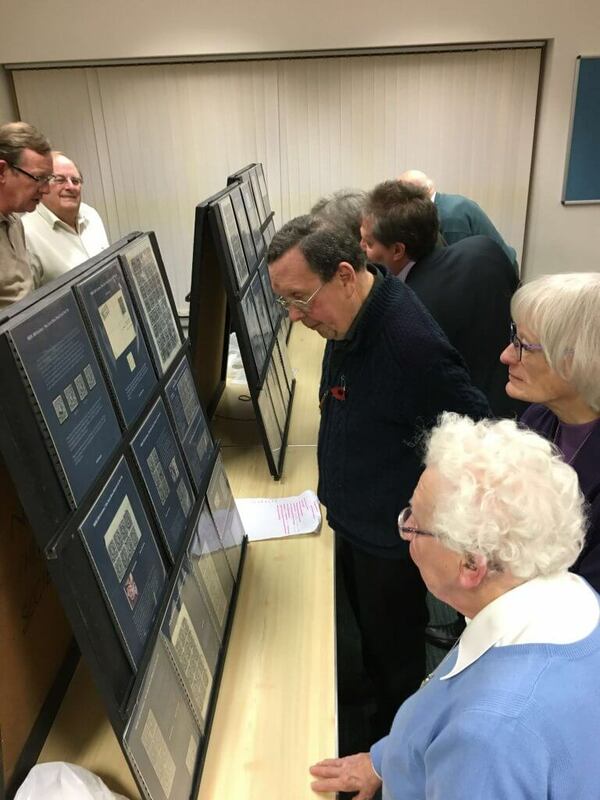 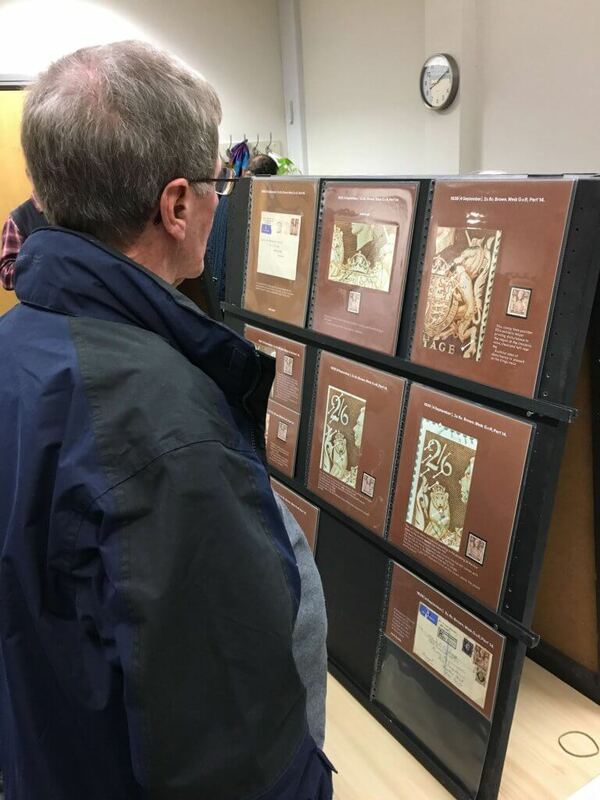 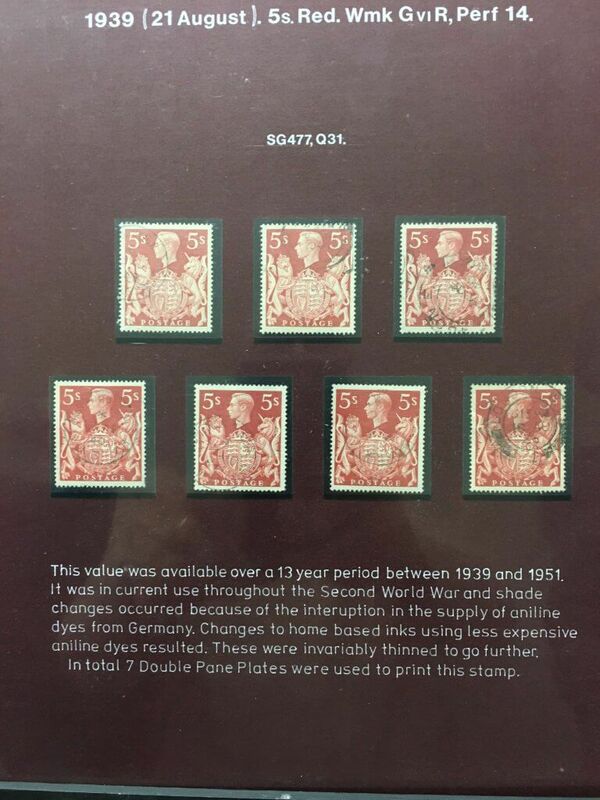 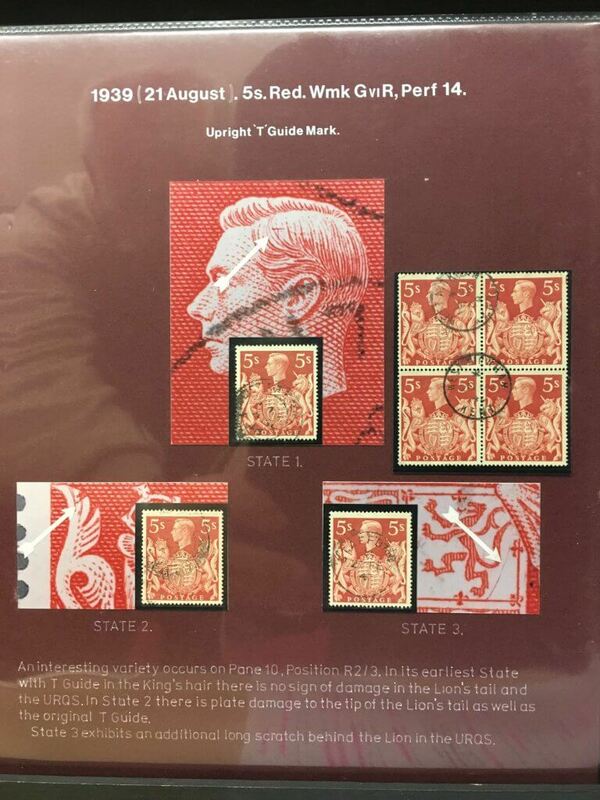 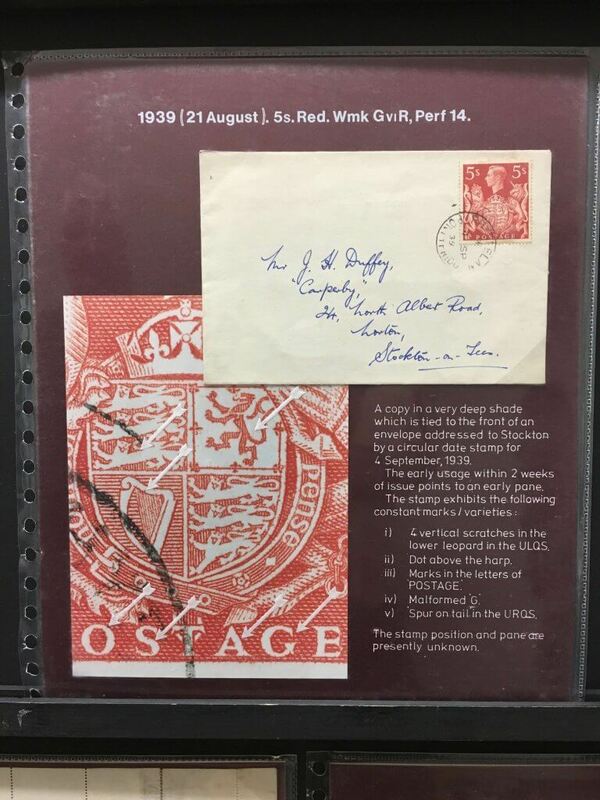 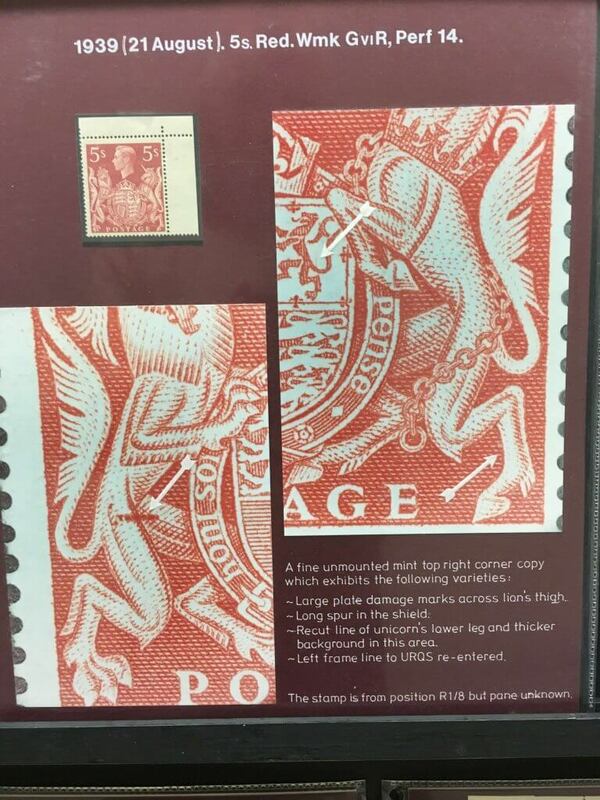 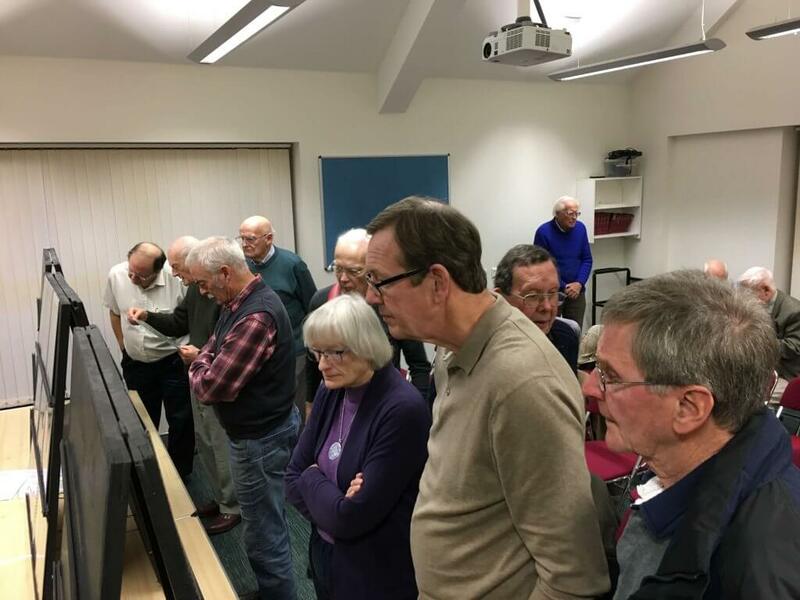 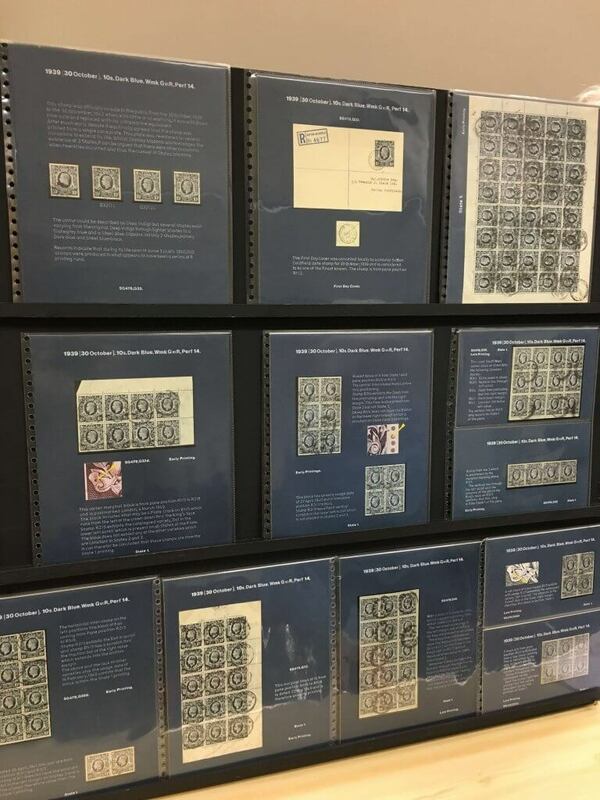 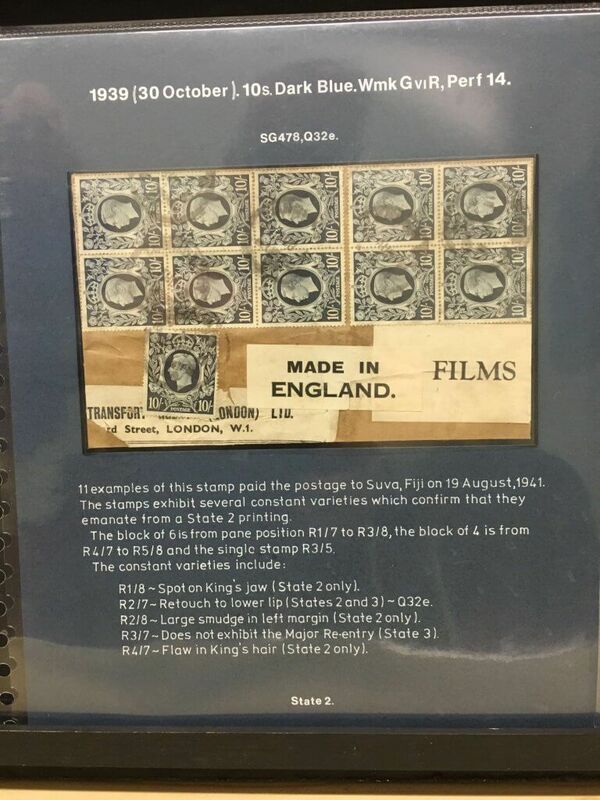 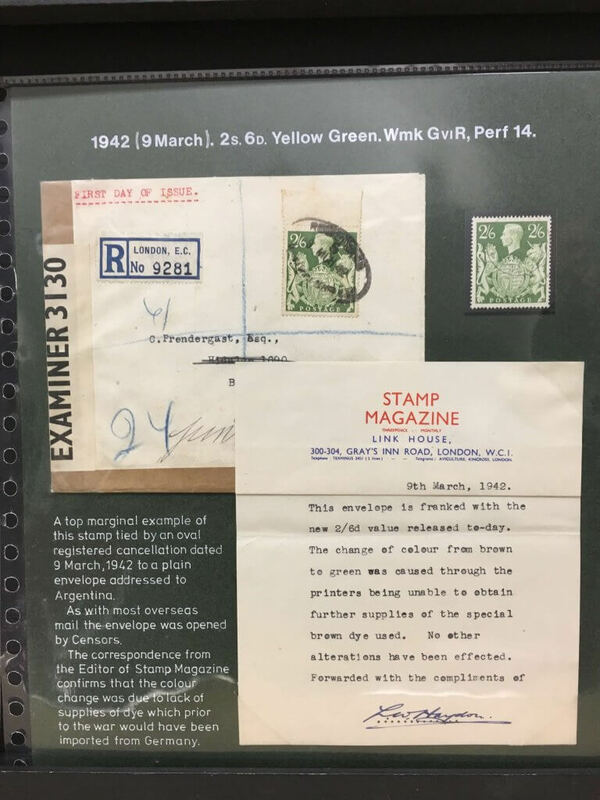 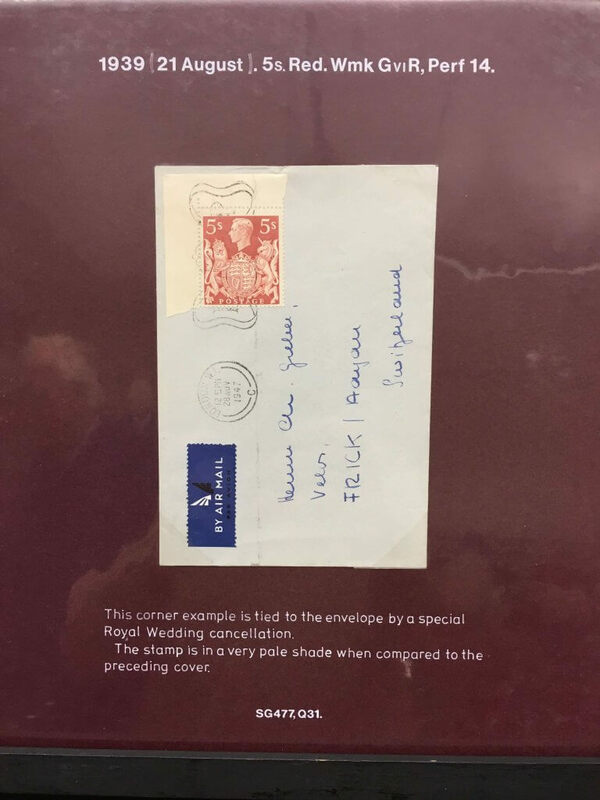 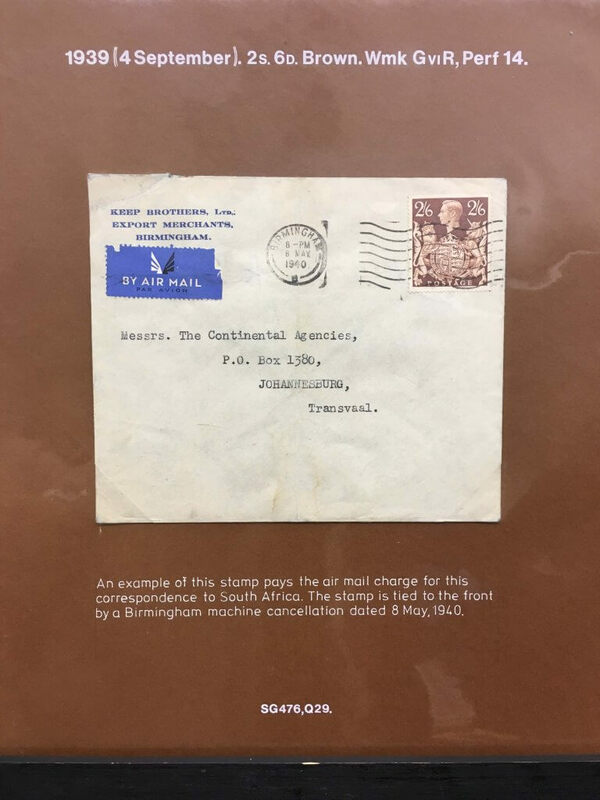 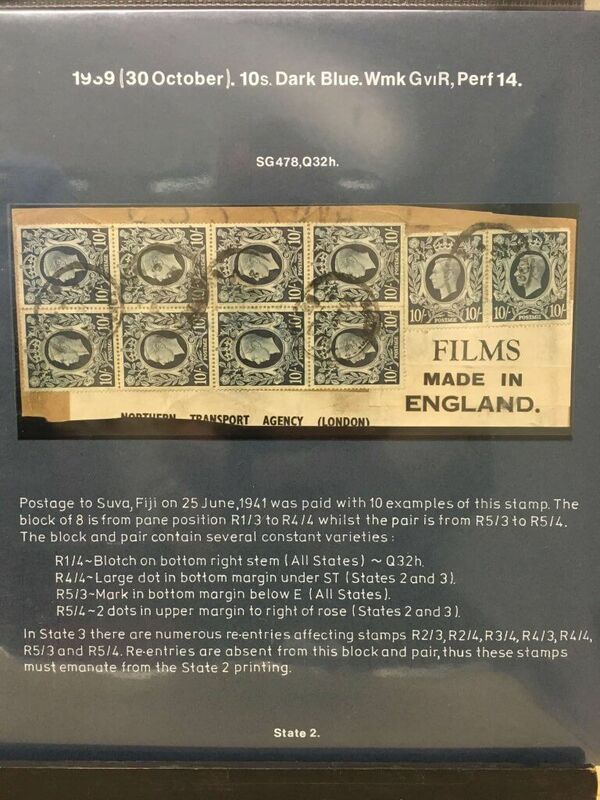 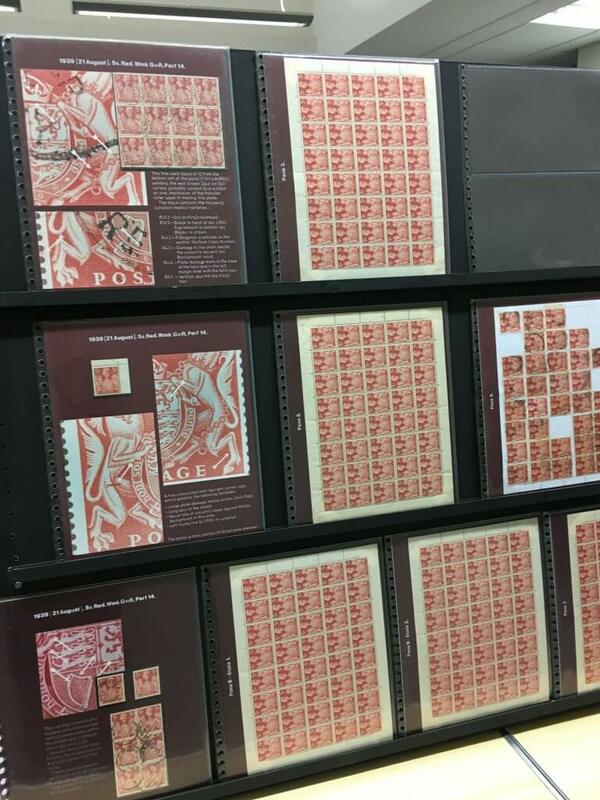 Graham explained that the majority of what would be considered ‘standard’ philatelic research into any issue, namely that kept at the printers, was lost during the war as the printing works were bombed. 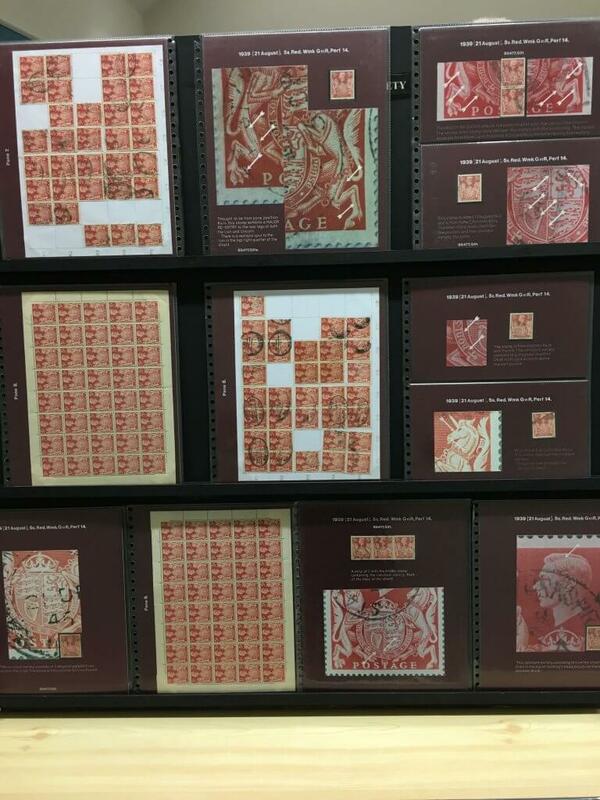 He also illustrated what that meant in terms of colours and inks as Germany were the foremost producer of printing inks at that time. 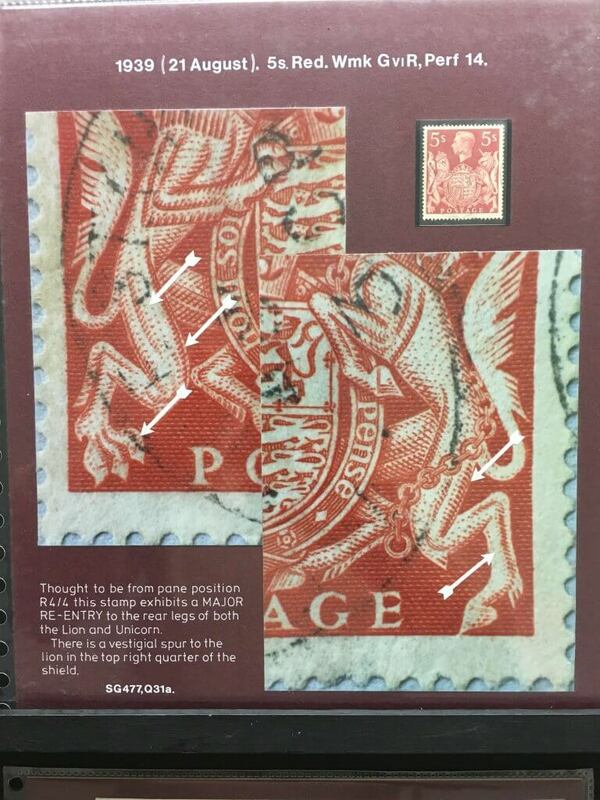 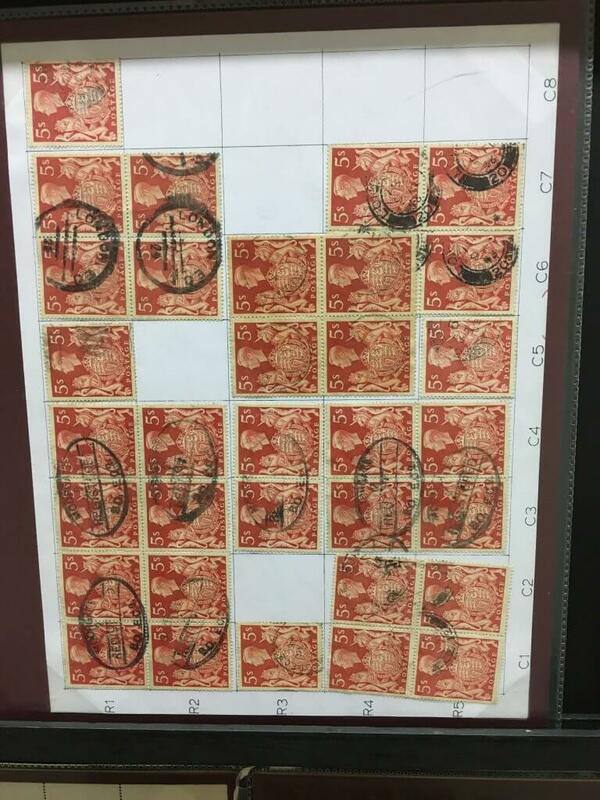 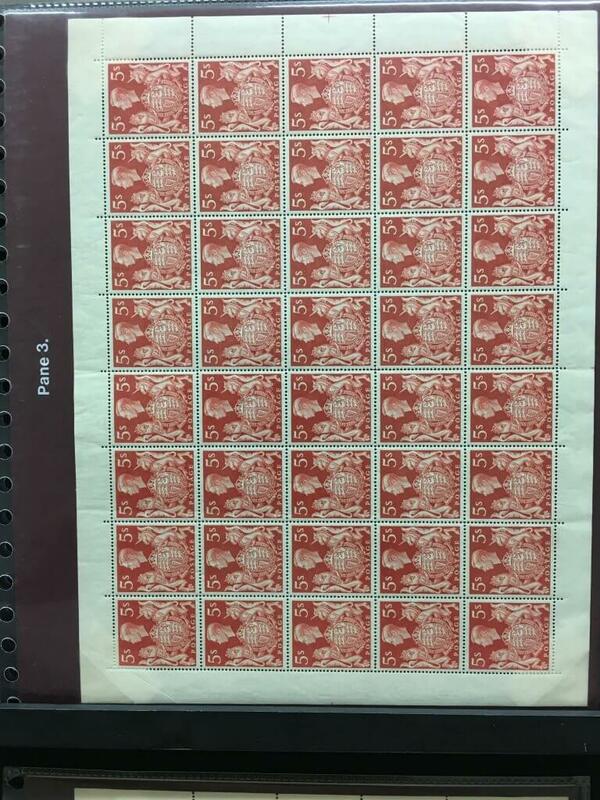 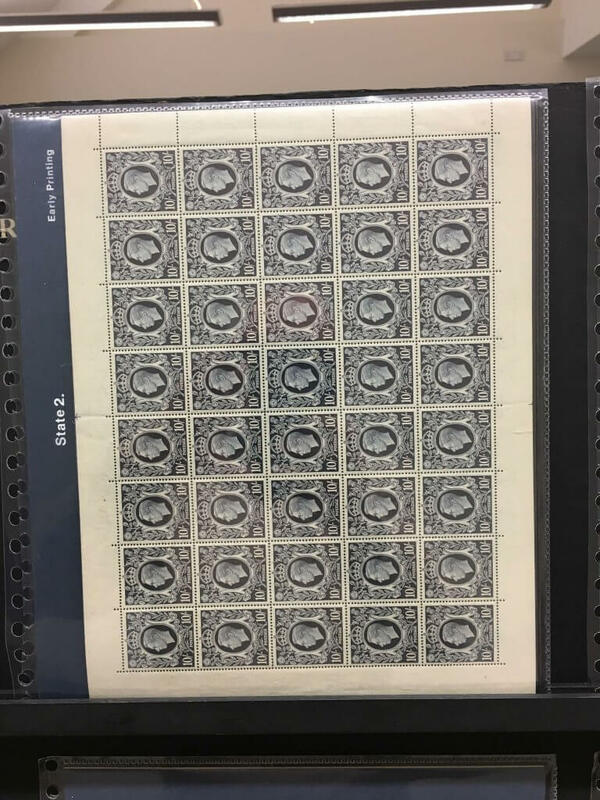 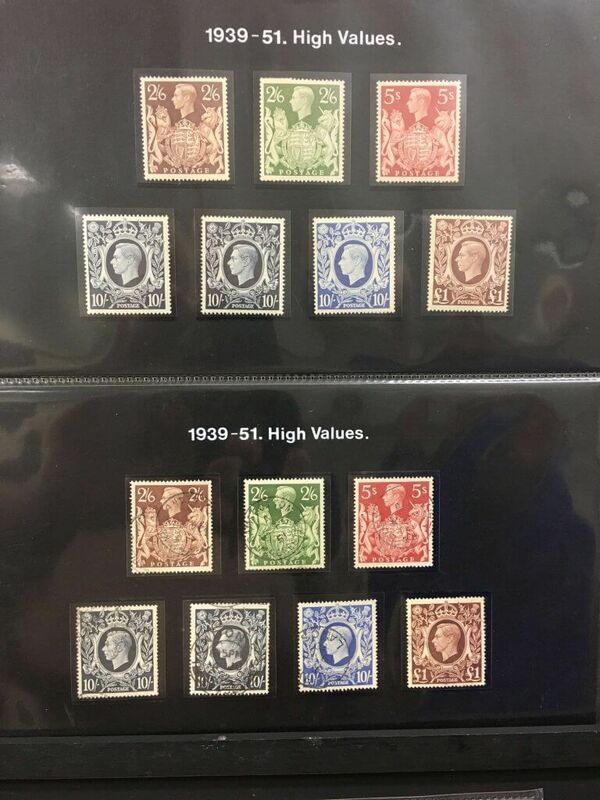 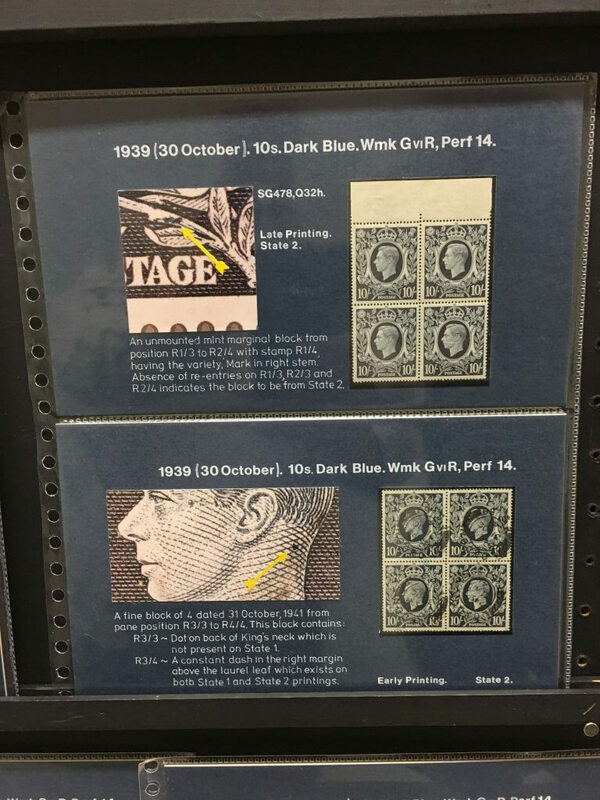 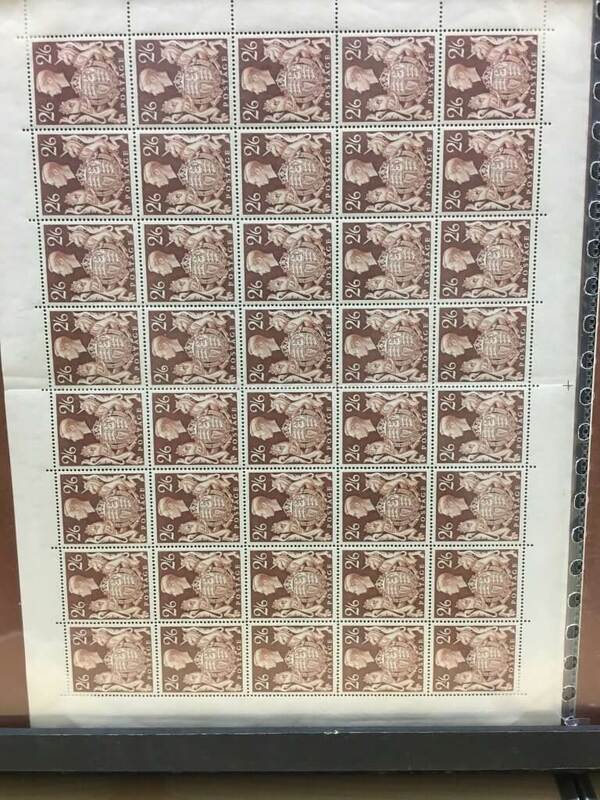 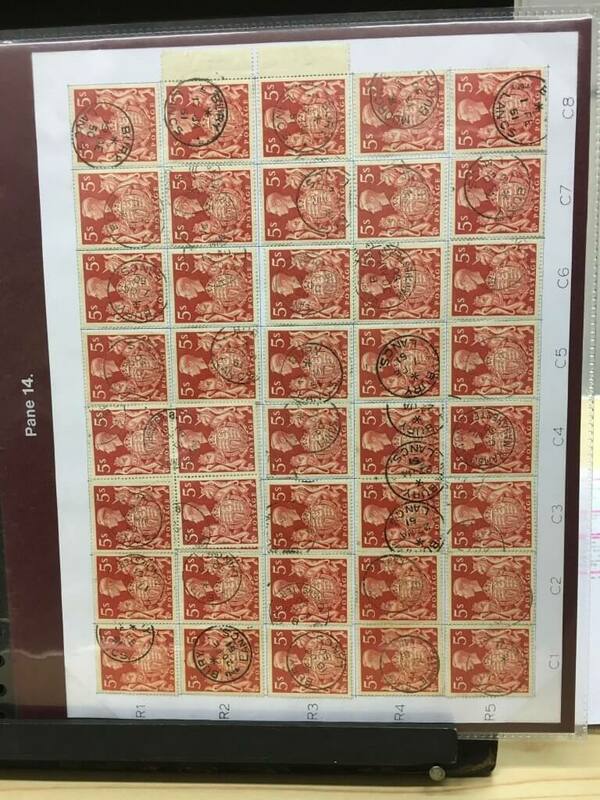 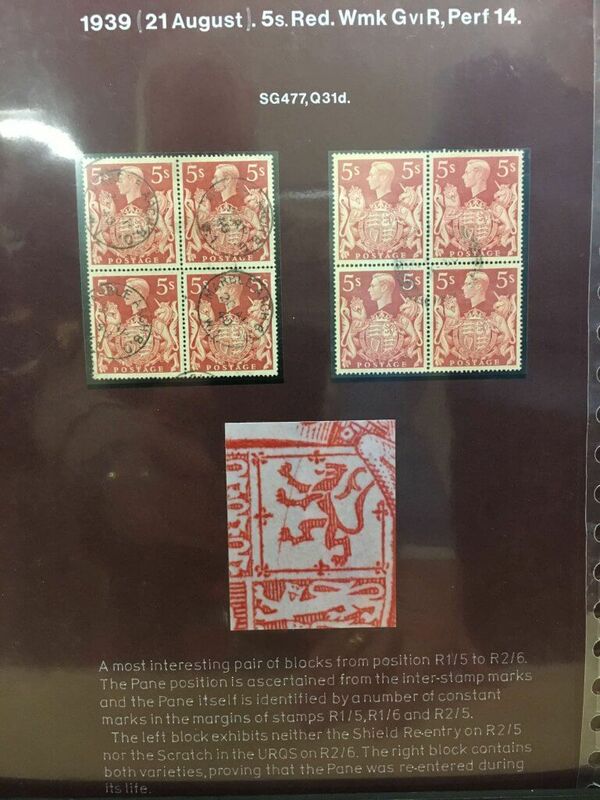 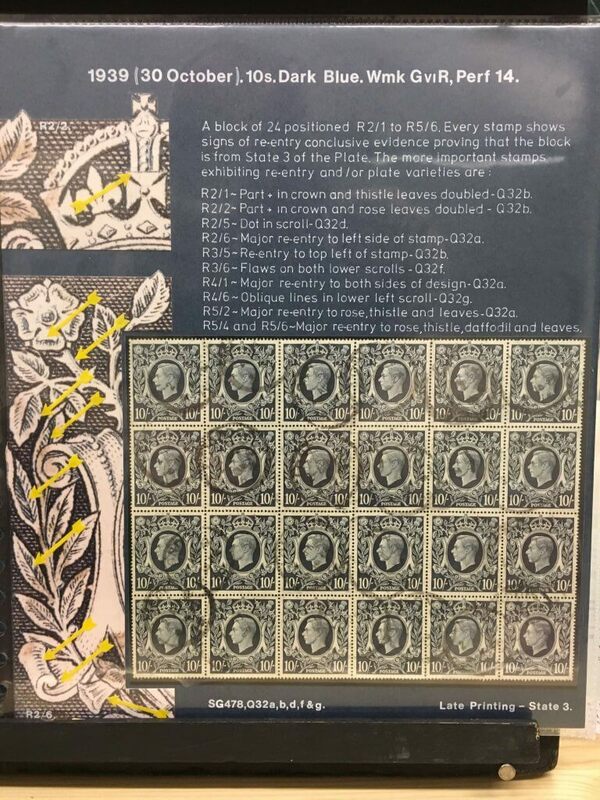 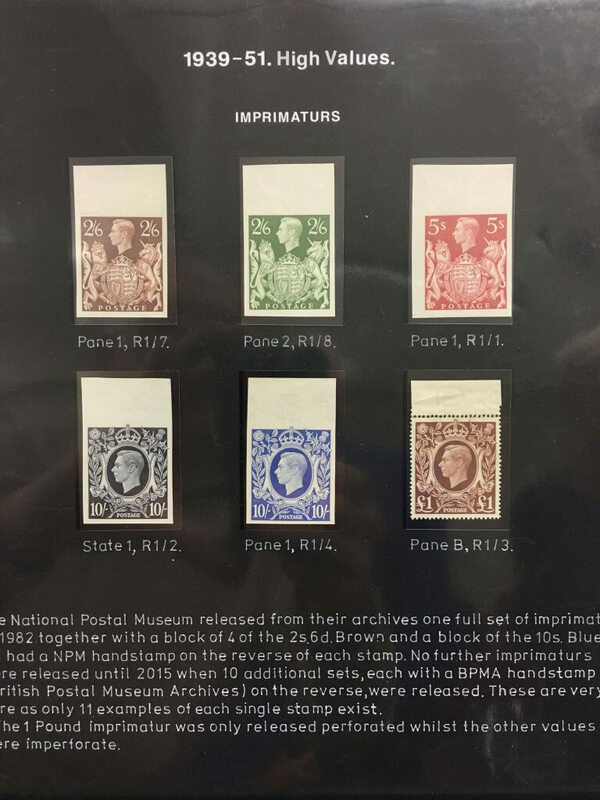 Graham showed just three out of the six issued stamps; the 2/6 Brown, the 5/- Red and the 10/- Dark Blue. 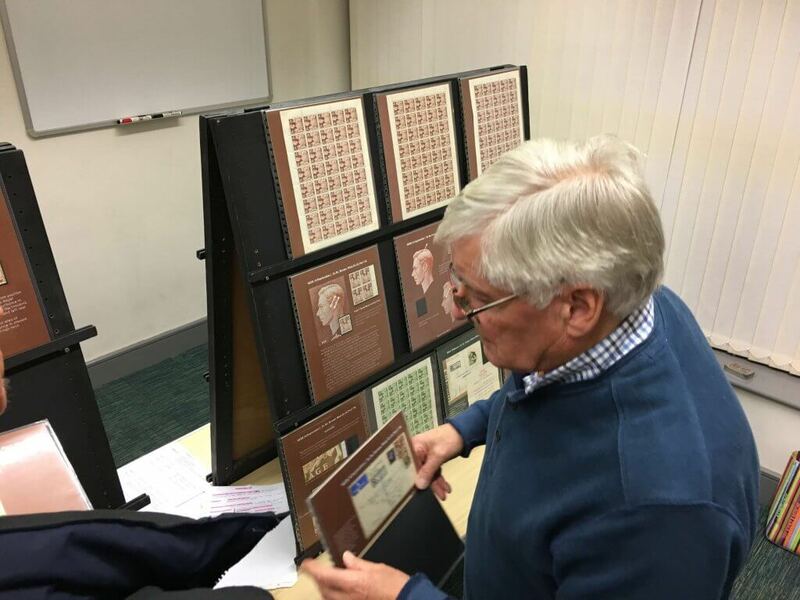 He also offered to show the remaining three values at some future event, something we have no doubt the Secretary will take him up on! 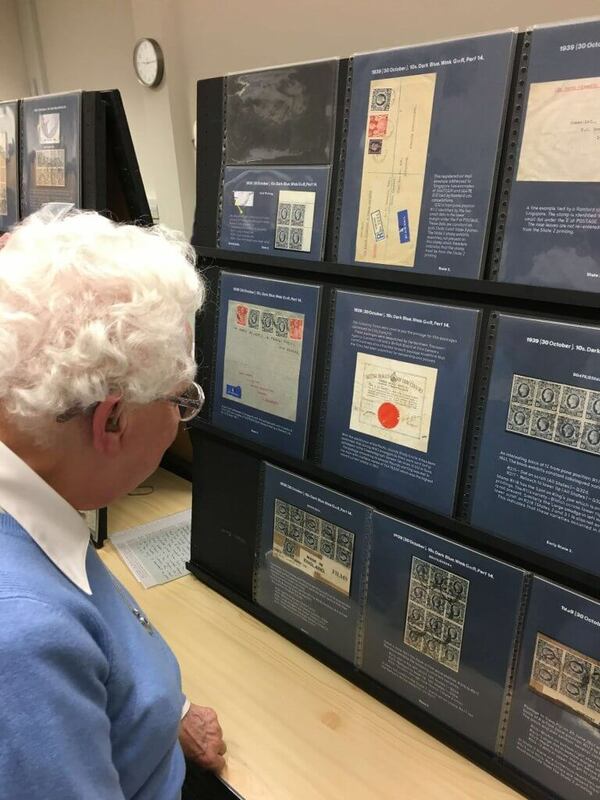 He is still researching material on the Arms issues and is looking for complete panes of the stamps to help plate the issues. 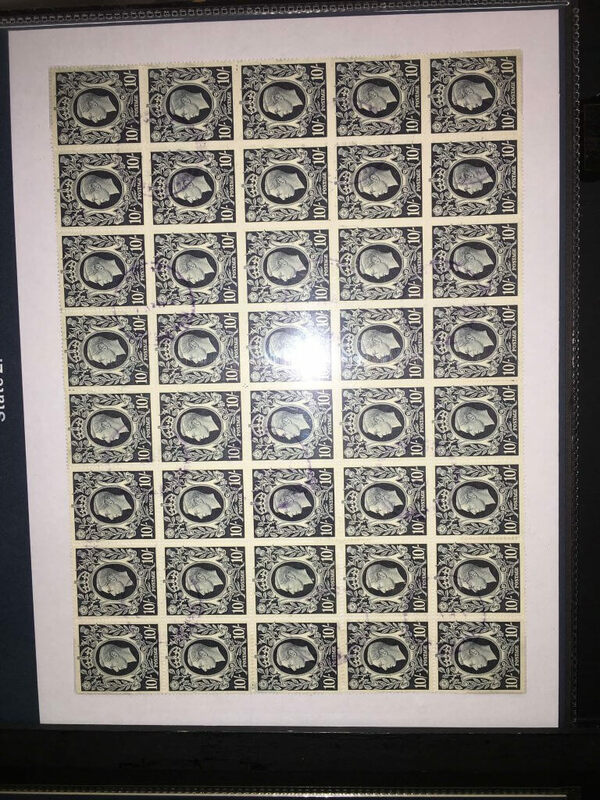 Anyone who can help with this can contact him via this website. 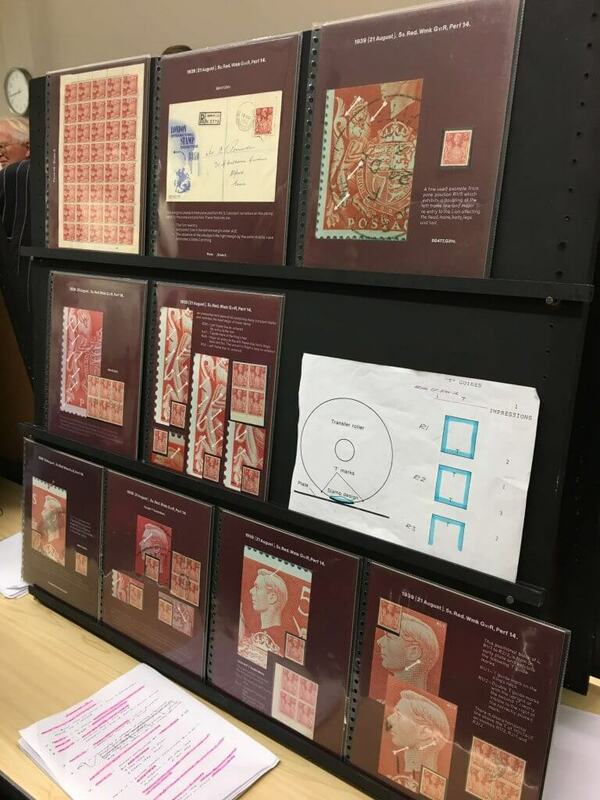 The photograhs below don’t do justice to the entire collection, which contains some amazing items, but hopefully, they convey the breadth of material that Graham has amassed during the course of his research. 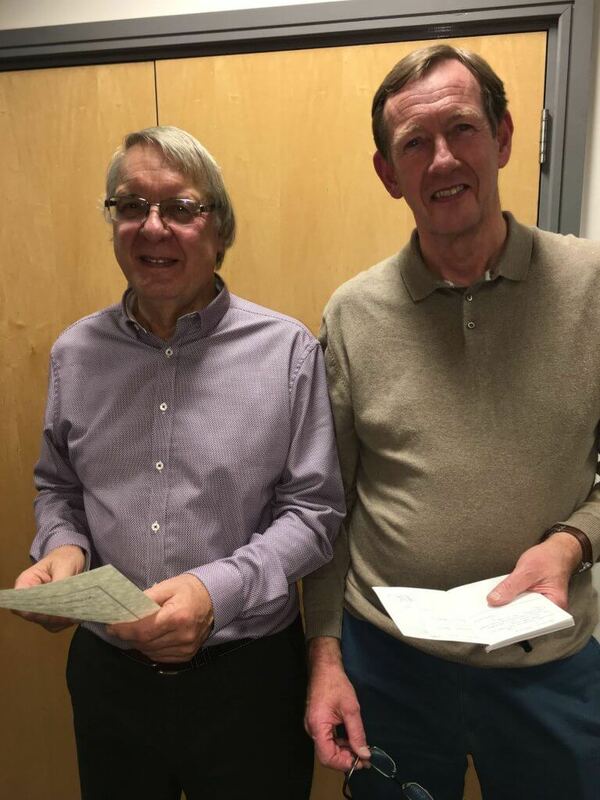 The vote of thanks was given by Chairman Steve Speak on behalf of all attendees.